How was your day at work on Tuesday? Was it satisfying and productive? Did you leave feeling you’d given it everything, made yourself proud, and earned your money? We hope the answer to all of the above is yes. But we guarantee it probably wasn’t as good as the one Zack Greinke had in San Diego. 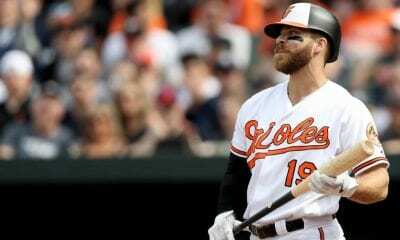 Before we get started, we remind you the Arizona Diamondbacks righthander is in the middle of a six-year, $206.5 million deal. He is making just under $35 million this season. The dude can afford to add the lobster tail to his filet when he’s out to dinner at The Capital Grille. Still, you have to ask yourself, what in the world could he possibly do in a game to even come close to justifying his salary. How can production for a guy making over $1 million a start possibly meet demand? How about striking out 10 hitters and hitting two home runs to lead your team to an 8-5 victory against the Padres? 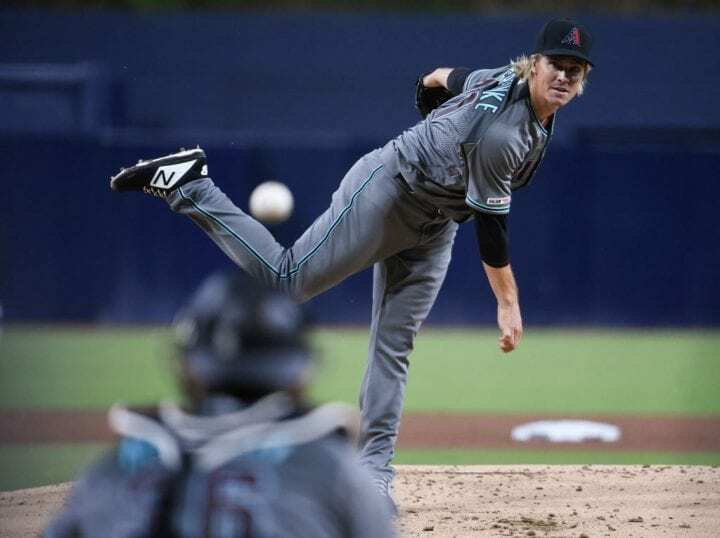 Greinke is just the second pitcher in Diamondbacks history to smack two homers in a game. Micah Owings did it in Atlanta on Aug. 18, 2007. 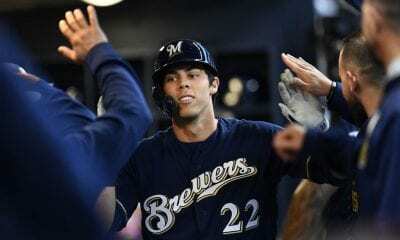 Better yet, he’s the first pitcher in the Major Leagues to hit a pair of homers while also striking out at least 10 on the same day since San Francisco’s Madison Bumgarner went nuclear on Arizona on Opening Day in 2017. And one of those homers was off Greinke. More history: Greinke, now 35, became the third-oldest pitcher since 1908 to have a multi-homer game. He is the first pitcher 35 or older since Dixie Howell of the Chicago White Sox on June 16, 1957 to do it. Grienke’s teammates had a little fun with him as he lit the diamond in neon. 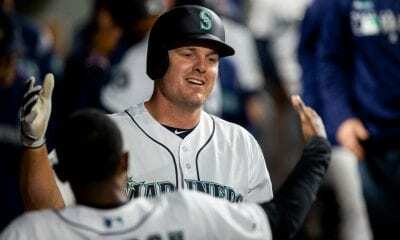 After he hit the first homer in the fourth inning off Eric Lauer – it carried 413 feet to dead center and left the bat at 102.8 mph – they temporarily gave him the silent treatment in the dugout. In the sixth inning, he cranked a 1-2 slider from Adam Warren over the left-field fence. That one traveled 384 feet and sped along at 101.8 mph. There is nothing usual about Greinke being a good hitter. He’s had that reputation since his first day in the Majors. 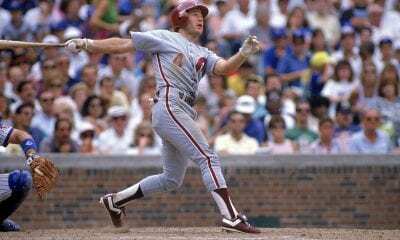 He’s one of the reasons baseball purists are fighting the introduction of the designated hitter in the National League. In 474 at-bats, Greinke is a .222 hitter with eight home runs. Those are pretty strong numbers for a pitcher. Wes Farrell, who pitched from 1927-41, is the all-time home run leader among pitchers with 38. Among modern day hurlers, Carlos Zambrano is the leader with 24, but he is tied for seventh all-time with two others, one of which is Bob Gibson. In the DH era (since 1973), Orel Hershiser’s .356 batting average in 1993 (26-of-73) is the highest for a pitcher in one season. No pitcher has hit at least .300 in the Majors (with at least 50 at-bats) since Owings hit .339 in 2007. Greinke said there was reason he was not originally drafted as a position player. “I’m a slow runner, I guess,” Greinke said. “Or else I probably would have been. I think everyone who has followed my career from the beginning knows (I didn’t want to pitch). I even retired from baseball because I wanted to be a position player. No one would let me. Of course, the Diamondbacks are not paying Greinke to hit, nor are they paying Paul Goldschmidt, for the matter. They need him to anchor their staff now that Patrick Corbin is in Washington. He stunk in the season opener at Dodgers Stadium. Aside from the strikeouts on Tuesday, he did OK, but he allowed two homers to Hunter Renfroe. Greinke hadn’t hit a home run since Aug. 16, 2015, when he was with the Dodgers, against Cincinnati’s Anthony DeSclafani. So we wouldn’t advise holding your breath for him to hit another one this season or next. After the game, Greinke’s catcher, John Ryan Murphy, was asked if his battery mate had a better day at the plate or on the mound. Either way, it was some day at the office.